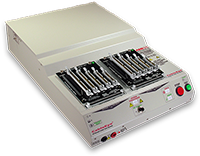 Instantly measure, display, and document basic electrical properties such as continuity, resistance, dielectric breakdown, insulation resistance, miswires, and intermittent faults. 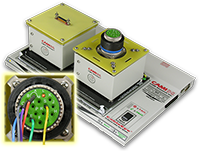 For diagnostic and Pass/Fail Testing — Find, display, log, document: opens, shorts, miswires, intermittent connections, continuity, contact and isolation resistance, embedded resistors and diodes. For diagnostic and Pass/Fail Testing — Permits expanded testing for insulation resistance and dielectric breakdown after checking for opens, shorts, miswires, and resistance limits. 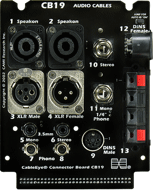 Our growing, extensive library of boards, currently offers approximately 60, most of which are populated with 'families' of connectors such as the audio market CB19. We invite you to use this form to suggest a configuration you would like to see us include in our library.